We have lovely neighbors! They are the ones that you can call and ask “hey, can you let my dog out in an hour?” They are the sweetest ever and are always there if you need them. Last weekend, Jason was grilling like crazy (remember when he grills, he grills a lot so we don’t have to do much cooking throughout the week). The delicious smell of the Big Green Egg must have been too much for them, and they opened their window three times to ask what we were grilling now. When you grill for several hours like that, it smells up the entire neighborhood and the neighbors must have been just drooling. The smells are so incredible that I want to take samples out to everyone! 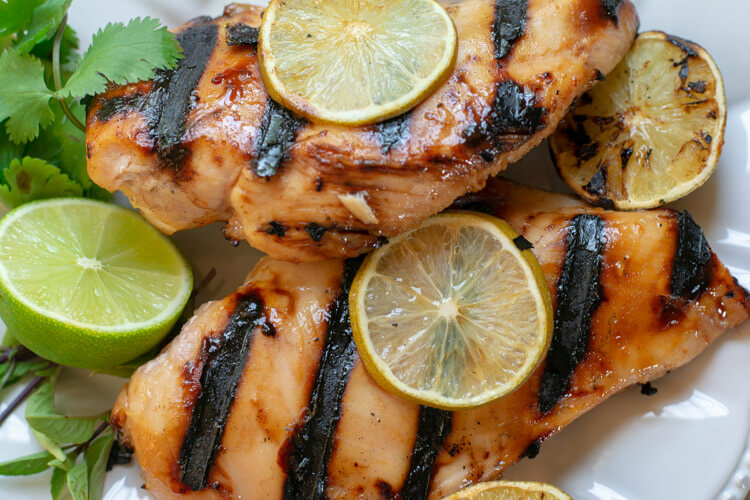 This grilled lime chicken recipe lends itself to being able to use either the thighs or the breasts successfully. 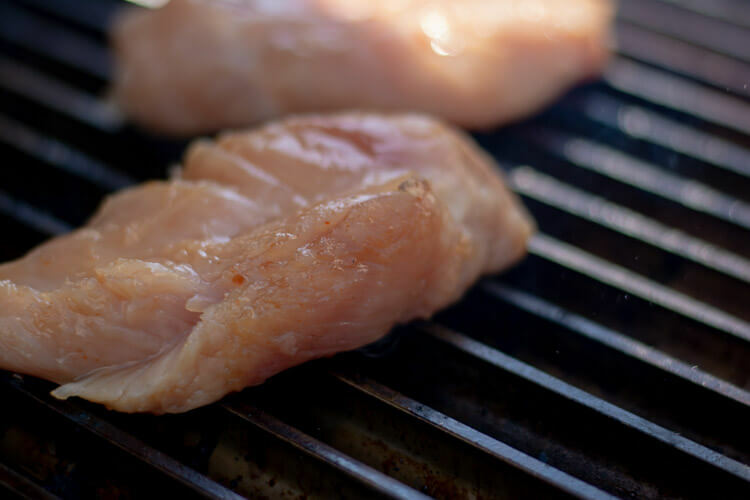 Chicken breasts are always going to come out as the healthier chicken choice but comes with the risk of them drying out a bit. One good tip is to pound them down to make them a bit more thin. The thinner meat is more manageable when grilling. Chicken thighs are full of flavor and are much harder to dry, but the darker meat just isn’t as good for you. I alternate between them in my recipes with success! This recipe is about as easy as it gets! It’s the recipe that you can decide on it Saturday morning, hit the store, plop the ingredients in a ziplock and marinate for about 30 minutes. 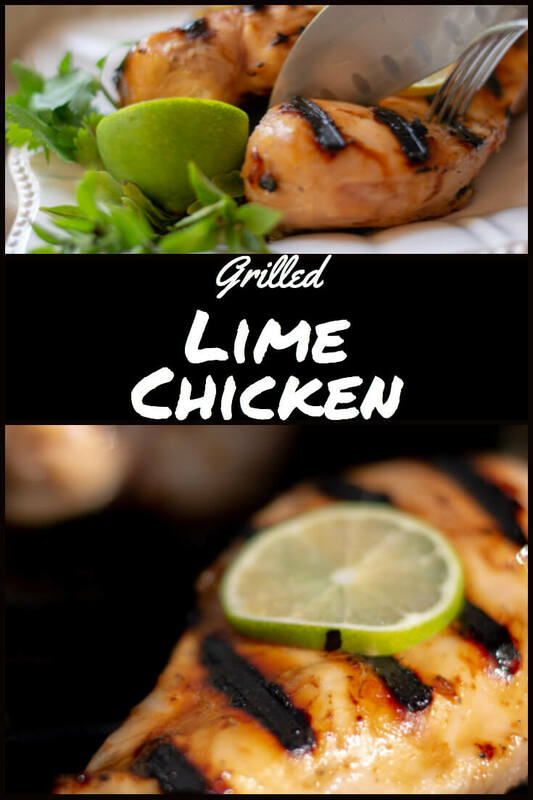 I love the sweet, citrusy taste of this Grilled Lime Chicken! The brown sugar and the ketchup take it up a notch and without them, the recipe would fall flat. Don’t try it. Set up the grill for direct heat and bring the temperature to 350 degrees. I have been using GrillGrates recently. 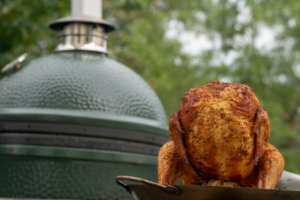 They sit right on top of the grilling grate, but they focus the heat onto the fins that hold up the chicken. 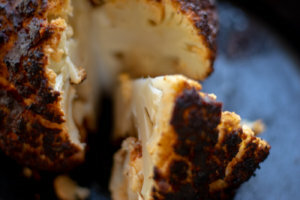 That leaves some gorgeous sear marks! Grill each side for about seven minutes. Check a few of the pieces of chicken to make sure they have reached 165 degrees. Pro tip: spread a liberal coat of olive oil on the GrillGrate before you add the meat. 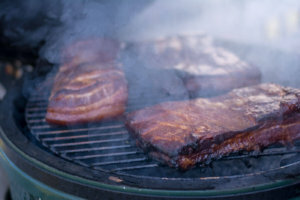 The fins are a bit wider than the stock grilling surface and the meat can stick if you aren’t careful. So my first choice would be a margarita! Since I don’t have one available right now, I suggest adding some Grilled Brussel Sprouts or the Bacon Wrapped Asparagus Yakitori. For the asparagus, you don’t even have to make the yakitori sauce! I’ve made them before with just the asparagus and the bacon with mouthwatering results! Two ingredient sides are the best!! For the brussel sprouts, if you want to leave off the bacon, a simple salt and pepper will be just as delicious if you want to cut the calories! Both of these side dishes only take a few minutes to grill, so they should be finishing up at the same time as the grilled lime chicken. Combine limeade, brown sugar and ketchup in a bowl and mix. 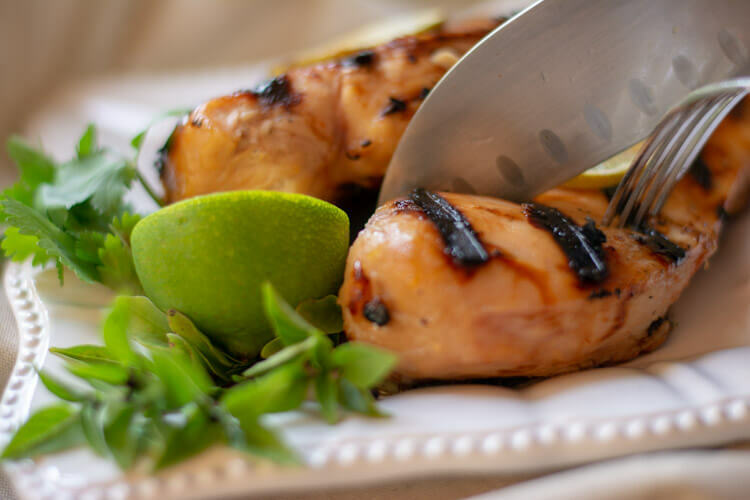 Take 1/2 of the limeade mixture and combine with chicken breasts in a zip lock bowl and marinade in fridge for one hour. Reserve the remaining for brushing on at the end. 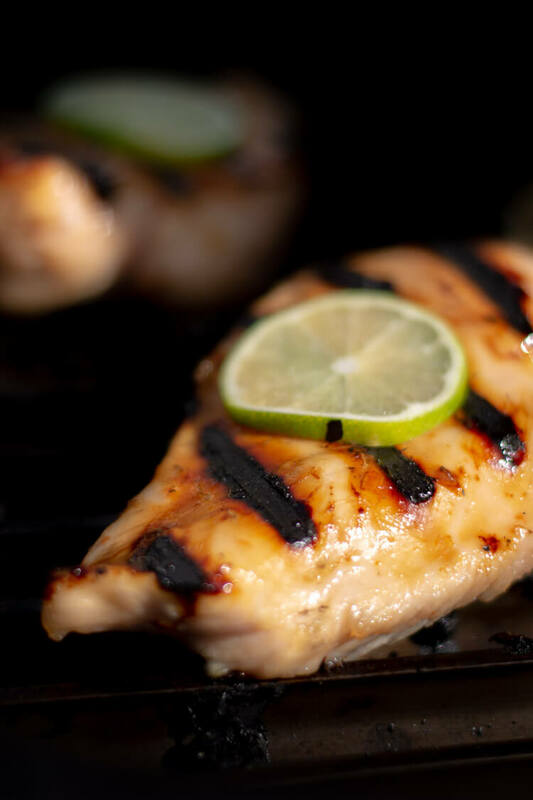 Grill chicken breasts at a temperature of 375 degrees for 5-8 minutes for each side. Brushing reserved marinade on chicken breasts during the last couple minutes of each side to make the sauce thicker. May choose to do this multiple times to create that thicker layer.